The Tales series by Bandai Namco made its big breakthrough in the West with Tales of Symphonia, originally released on Nintendo GameCube before getting ported to PlayStation 2, PlayStation 3 and PC with added content. The former GameCube exclusive was the first entry in the series to sport full 3D graphics and, as such, it better resonated with Western audiences who, by 2003, had largely left 2D games behind. 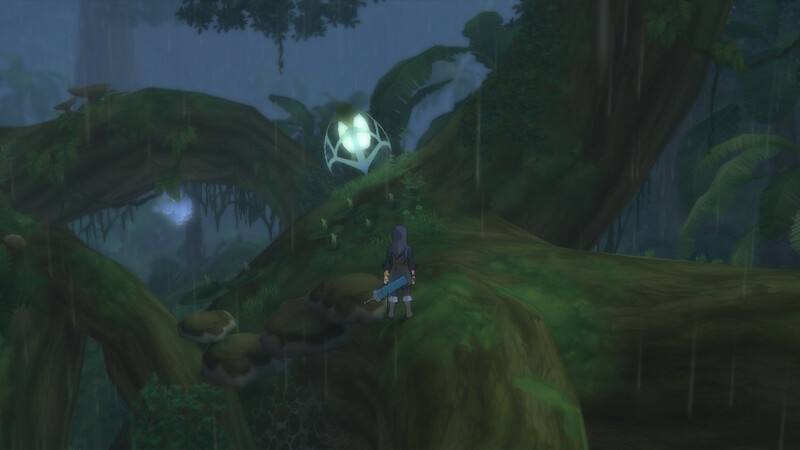 While the 3D formula was introduced by Tales of Symphonia, it was with Tales of the Abyss and Tales of Vesperia, that it got refined to new heights. Despite the advancements, however, Bandai Namco didn’t make any major change to it until following titles, making Tales of Vesperia the “last” of the classic Tales games, as following titles are somewhat much smaller in scope. The original Tales of Vesperia is now ten years old, and Bandai Namco decided to celebrate the occasion in style with the release of Tales of Vesperia: Definitive Edition. The remaster of the now classic JRPG is the perfect way to enjoy the game, as it features a lot of additional content that was not present in the original Xbox 360 release, alongside some minor graphics and performance improvements that, while not major, are definitely welcome. Tales of Vesperia: Definitive Edition starts Yuri Lowell, a young man living in the lower quarters of the Imperial capital of Zaphias. One fateful day, the Aque Blastia, a device that provides the quarter with fresh water, breaks down, with a mysterious individual actually stealing the core that the device requires to function. Not one to play by the rules, Yuri sets out to recover the core together with his faithful dog Repede, not knowing that this simply affair will lead him all over the world to solve a huge crisis that could destroy the world of Terca Lumieris. During his journey, Yuri will meet some very colorful characters: the noblewoman Estellise, the young adventurer Karol, the sassy magician Rita, the sarcastic Raven, and the mysterious Krytian Judith. Joining the party in the Definitive Edition are Flynn Scifo, Yuri’s childhood friend who is only playable in a single battle in the Xbox 360 version, and Patty Fleur, a young girl who seems to be related to the pirate Aifread, a central figure in the war between the Guilds and the Empire. The additions to the cast don’t feel forced at all: Flynn originally featured in many of the most important story events, so he never feels out of place. 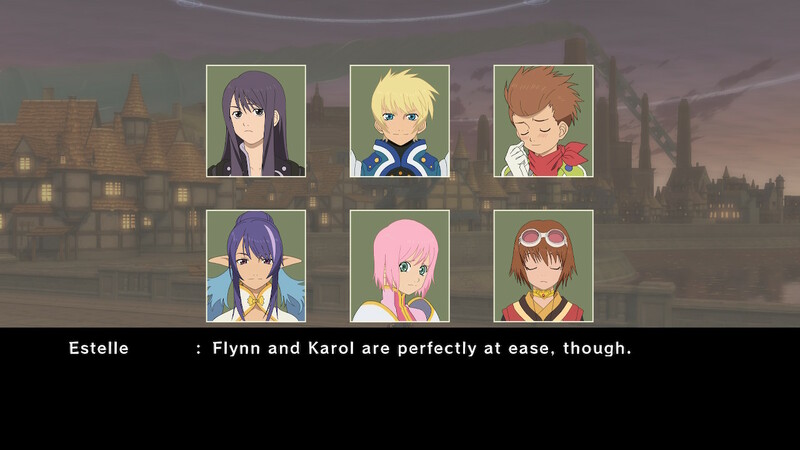 Patty, who is completely absent in the Xbox 360 release, doesn’t feel as organic as Flynn does, but she is definitely not out of place in this motley crew of characters, on the contrary, her presence actually better explains some of the events of the original game which received little to no development. 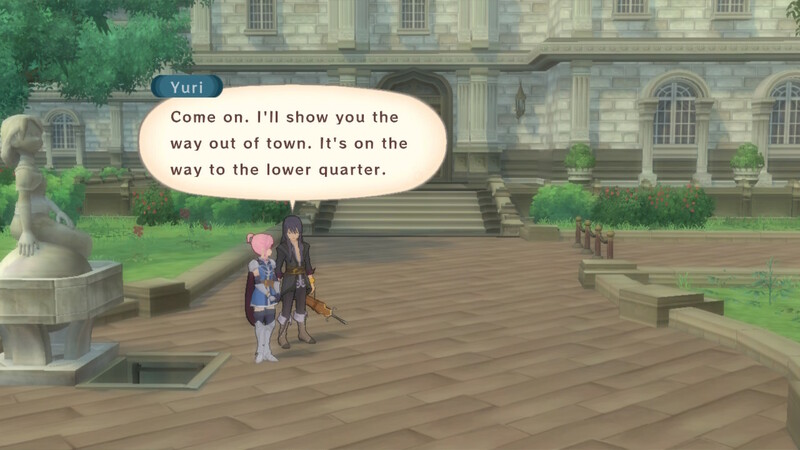 The story in Tales of Vesperia: Definitive Edition starts strong, with Yuri setting out of Zaphias in search of the Aque Blastia thief, but it starts losing steam after the first act ends: the pace slows down considerably, with many filler events that could have been condensed. The worst offender in the story is the third act, which also feels unnecessarily long, with yet another villain who is not truly evil at all, something we have seen too often in the series. The true saving grace of the story is, unsurprisingly enough, the characters. While many of them fall into the classic Japanese anime archetypes, they are incredibly well developed, and none of them will end their journey as they began it. Yuri is clearly the star of the show here: one of the most unique main characters in the whole series, Yuri finds himself pondering on the meaning of justice, and how playing by the rules may not get the job done. While this theme has been developed before in many other games, Yuri’s unusual approach to the matter is very refreshing, for a Japanese role-playing game. The other characters also develop in a very believable way. Karol is probably one of the very few kids in JRPG that doesn’t become unbearable five minutes after his introduction, and while other characters are more tropey than others, especially Rita, they still manage to be very enjoyable. All this makes playing through the game never feel like a chore, despite the story falling apart after the first act. As already mentioned, the original Tales of Vesperia is the ultimate refinement of the gameplay formula introduced in Tales of Symphonia and, as such, features the same progression system. Players have to explore towns and cities in search of the next objectives, watch cutscenes and then proceed to the next location, which may be another city or a dungeon. Locations are cleverly designed, and all come with a distinct flair that makes them instantly recognizable: from the elegant beauty of Zaphias to the run-down port town of Capua Tor, to the hectic, pulsing Dahngrest, it’s difficult to forget about any of them. Dungeons are a bit less remarkable, featuring the typical biomes seen in other JRPG like forests, deserts, underground ruins and so on, but the inclusion of some simple puzzles makes them feel a little more personable. All locations also feature several secrets, so those who like exploring will find plenty to like in them. While not exploring towns and other locations, players will engage monsters and human enemies in the signature action battle system of the series, the Linear Motion Battle System. Thankfully, there are no random encounters on the field and on the world map, so battles can be skipped easily. 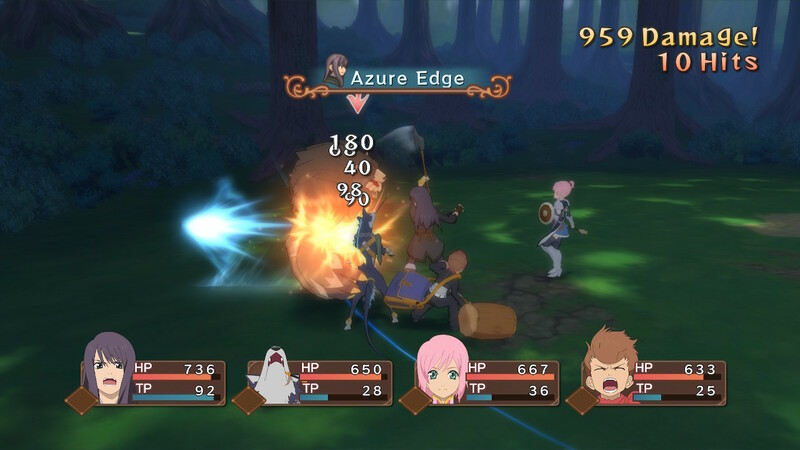 For Tales of Vesperia: Definitive Edition, the battle system has been evolved further into the Evolved Flex-Range Linear Motion Battle System, which gives players plenty of freedom in chaining regular attacks and Artes together. At the very beginning of the game, players will only be able to chain regular attacks, Base Artes and Arcane Artes in this order, but things will change soon. Through the Over Limit mechanic, it becomes possible to chain together attacks in any order for a short amount of time as well as to unleash powerful Burst Artes. Later on, the basic combo chain is expanded with the introduction of Altered Artes, which are evolved forms of Base and Arcane Artes learned by equipping special skills. The final, and the most devastating type of Artes, is Mystic Artes, which are unlocked late in the second act. Other actions are also possible during battle. With the right skills equipped, characters can guard against enemy attacks, perform a backstep, a Critical Guard which negates damage, a Magic Guard, used to block magic spells, special attacks from the air and much more. 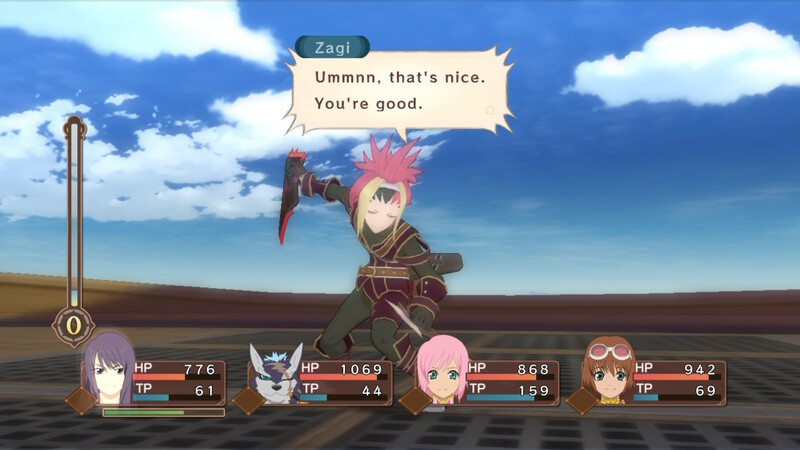 Free Run is also available in the game, which allows characters to move around the battlefield regardless of the targeted enemy, but it’s way less effective than it was in Tales of the Abyss, where the mechanic was essentially broken. Another very interesting battle mechanic is the Fatal Strike mechanic, which allows players to unleash an instant-death attack on regular enemies once they have been weakened enough. These special attacks can also be used against bosses, dealing regular damage which can be increased with the right skills. As many of these mechanics are introduced through the course of Tales of Vesperia: Definitive Edition, with some actually becoming available past the 30 hours mark, it’s clear how the developers made it so that things never felt repetitive. And they definitely succeeded, as it forces players to come up with unusual ways to link together multiple Artes outside of Over Limit, taking advantage of knockdown and on-the-ground attacks. Once all of the options open up, however, the game becomes way too easy on Normal difficulty, as there are so many ways to break the battle system that it’s almost impossible to not take advantage of them. Performing infinite combos is extremely easy, especially for Yuri, Rita, and Repede, with the right Artes and skills. The skill system of Tales of Vesperia: Definitive Edition is simple but incredibly robust at the same time. All characters can learn skills through weapons and accessories, which can be purchased in shops or crafted through Synthesis with the right items, after having obtained enough LPs at the end of battles. Most of the weapons obtained through Synthesis cannot be purchased in shops, so players are required to often go out of their way to find the required items for weapons coming with unique, and extremely useful skills. For this reason, there are plenty of incentives in exploring the world fully, as some enemies carrying items are found in areas where players are not required to go for story reasons. Synthesis also allows players to create some cosmetic items called attachments which can be used to customize each character’s appearance. As skills require certain amounts of Skill Points to be equipped, players have the chance of customizing characters in many different ways. The better the skill, the more SP will be required to equip it, so a good balance is required to keep performance in battle high enough to defeat enemies with ease. While all these mechanics may sound a bit confusing on paper, they work extremely well in practice. Additionally, they have great synergy between them, and it soon becomes second nature managing skills that can make battles more fun than ever. This synergy also makes Tales of Vesperia an incredibly fun game to play, as despite the predictable game flow you will always be managing multiple mechanics at the same time. Being a massive game, with the main story taking around 50-60 hours to complete, those who played the original Xbox 360 release may ask themselves why they should play through the same content again. Thankfully, Tales of Vesperia: Definitive Edition provides plenty of incentives in delving back into the world of Terca Lumieris. Not counting the two new playable characters, pretty much every aspect of the game has been expanded. All story dialogues are now voiced, with most of the original voice actors coming back to reprise their roles. A notable absence is that of Troy Baker, who has not been asked to reprise his role as Yuri. The new voice actor does his best to emulate Baker’s signature voice, but the difference is immediately noticeable and a bit distracting. 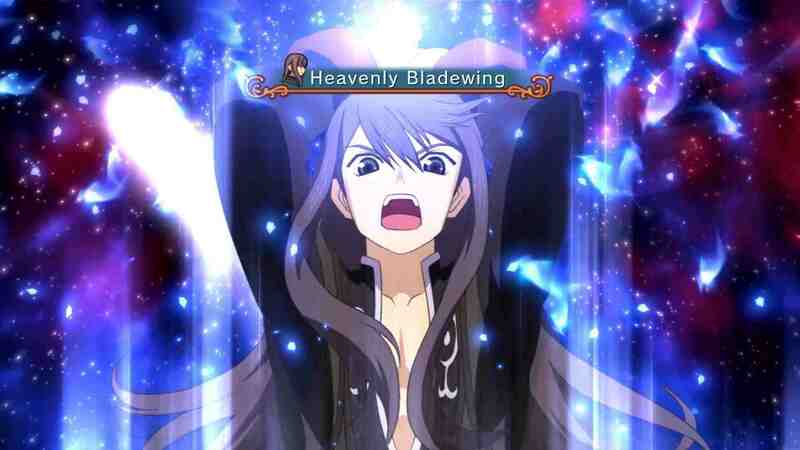 Not only all of the story dialogues are now voiced in Tales of Vesperia: Definitive Edition, but new sequences have been added to better explain some of the original events. New story and optional dungeons are also in, and so are some new bosses, with a couple of new optional ones that will definitely challenge even the most experienced players. The battle component has also been expanded with new Artes for all the cast, including a second Mystic Arte for most characters, with the exception of Yuri and Flynn, who get a combination Mystic Arte. New skills are also in for all characters, further expanding their battle options. On the technical side, the original game has been slightly improved for the Tales of Vesperia: Definitive Edition remaster. The original Xbox 360 release had a 720p resolution, and the bump to 1080p is noticeable. Outside of the resolution increase, there haven’t been any massive improvement to the graphics. Performance, however, has been slightly improved on all format outside of battles. The Nintendo Switch version runs at 60 FPS in battles at most times, with only some light slowdowns when things get hectic, in both docked and handheld mode, while it runs at a variable framerate on the field, with the frame rate often hovering between 60 and 30 FPS, which is somewhat distracting. Even with the limited graphics enhancements, Tales of Vesperia: Definitive Edition looks quite nice. While it’s clear that it’s a last-gen game, it still manages to look better than even more recent entries in the series thanks to the art direction and the use of cel-shading, which gives the game a distinct, Japanese anime look. Character models are also quite detailed, and the resolution bump makes the details more vivid than in the original release. The soundtrack, composed by long-time series’ composer Motoi Sakuraba, is a bit hit and miss, with some memorable pieces mixed in with some forgettable music, but it still gets the job done. Voice acting is also spot on for all characters, even though Patty sounds a bit forced in English. Those who want to play Tales of Vesperia: Definitive Edition with Japanese voices can also decide to do so right after booting the game. The only issue with voice acting lies in the new Skits not present in the Xbox 360: the audio quality for the new voiced lines is very low, and makes all character speaks almost as if they have a lisp. It’s not a big issue, but it’s quite noticeable. Nintendo Switch version tested. Review code provided by the publisher. Tales of Vesperia: Definitive Edition is a solid remaster of one of the best classic JRPGs released during the previous console generation. With a colorful cast of well-developed characters, an incredibly fun battle system, and engaging gameplay mechanics, the game still manages to hold its own ten years since release, even with minimal tweaking. The huge amount of new content is also meaningful to the experience, making the Definitive Edition truly the definitive way to experience the game.